Liming in spruce stands: What effect does the number of lime applications have on the herb layer? Forest liming is often used as a mitigation tool to counteract soil acidification that is caused by atmospheric deposition. However, our understanding of the long-term effects of liming on forest communities is still incomplete. We examine the effects of repeated liming on the herb layer of spruce stands in the Ore Mountains in East Germany. The area is characterised by acidic bedrock and profound soil acidification caused by high levels of anthropogenic sulphur deposition in the late twentieth century. Lime has been applied as part of forest management since 1988. We created a stratified sample in which we recorded vegetation relevés covering spruce stands without liming (L0) and with one to five lime applications (L1–L5). We found a positive correlation between liming intensity and alpha diversity. 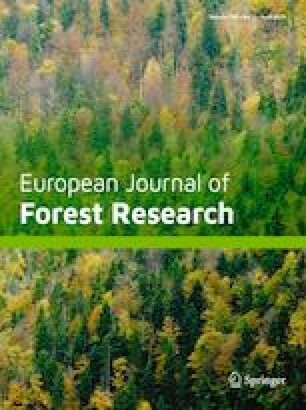 Most of the indicator species were identified for spruce stands with high liming intensity (L2–L5), but no indicators were found for unlimed stands. From the third liming, the impact of lime application on species diversity and composition saturated. Several of the species promoted by liming are typical for mature stands of the natural vegetation but had declined in the twentieth century. Thus, a slight trend towards the restoration of the natural vegetation can be seen after liming. However, this is contrasted with a strong increase in species that are disturbance indicators (i.e. species of nitrogen-rich soils and open habitats). Continuation of liming as part of regular forestry management will cause these effects to establish permanently over large areas. Based on these findings, we make suggestions to adapt forest management strategies. Thanks to Dr. R. Petzold for many fruitful discussions and useful comments on the manuscript.